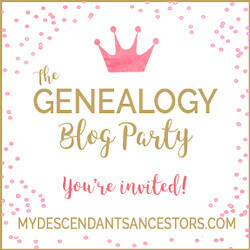 The Great Genealogy Shape Up of 2018! For most of 2017, I spent my genealogy time cleaning up my database in Legacy Family Tree. I'm still working on cleaning up messes from when I first started my family tree. For 2018, I plan to continue cleaning up my database. I would also like to finish adding all Find A Grave information to my database as well. Find A Grave is a great place to find leads to research. Legacy makes it very easy to find everyone in your database who do not have Find A Grave memorials. I selected create a list of people without a Find A Grave Memorial and I got a nice LONG list of people. From this list, I have been able to find more ancestors to research and add to my database.